Anybody wants a $1 T-shirt and 50 cents underwear? How can you enjoy yourself in Singapore without spending a bomb? Especially if you have a family with kids in tow? A lot has been written about the high cost of living in Singapore. They include a recent study by the Economist Intelligence Unit which ranked Singapore as the world’s most expensive city to live in, a clarification by our Finance Minister that living costs are higher for expatriates (as opposed to locals) due to the strong Singapore dollar. A report in Straits Times last year also noted how high movie ticket prices were changing viewing habits. While prices are indeed rising here, we mustn’t forget to look around the world. Globally, the 34 member states of the OECD reported a 2.0% annual growth in inflation for April 2014, while the Group of 20 (G20) leading industrial and developing nations were hit by inflation rates of 2.8% in April 2014 (up from 2.5% in March). Comparatively speaking, Singapore’s inflation growth of about 2.4% (May) and inflation forecast of 1.5% – 2.5% this year doesn’t look that bad. Besides, our real wages have grown by 2.9% in the past year. OK, so basic necessities are not so costly here. However, it does cost an arm and a leg to enjoy oneself here in Singapore, right? Not really, if you know how. Here are some strategies you can consider to enjoy more bang for the buck and make your dollar stretch. There are lots of off-peak deals and promotions available in Singapore. They include spa packages, airlines, hotels, restaurants, pubs, chalet rooms, cars and so on. Often prices during non-school holiday periods, weekdays, and lunches are considerably lower for seasonal goods and services than school holidays, weekends and dinners. If you haven’t already taken advantage of the numerous discounts and deals online, you must be hiding below a rock. There are so many to choose from! While I personally don’t think it is sustainable for businesses to keep offering such deals, I think that they are great for consumers. Lately, I’ve noticed more and more of my food blogger friends transforming themselves into home chefs. Some of the dishes they whip up look – and probably taste – fabulous. Naturally, it does take some skill to cook. However, doing so is often cheaper than dining out. Dining out these days certainly includes eating at hawker centres. With the rising number of new generation hawkers offering anything from craft beers to sizzling steaks to yummilicious muffins and al dente pasta, you can dine like a king at our food centres and still have lots of spare change. Believe it or not, I enjoy taking buses and trains. They provide a time for reflection and day dreaming, and I can plug in to the latest music, enriching podcasts, or just read a good book. Of course, there is a trade-off in your traveling time vis-a-vis driving, but Singapore isn’t that huge a city to travel via buses and trains in. I’m a book geek. While I love visiting book shops to stock up on favourite titles (usually during sales periods), I also enjoy visiting our excellent public libraries. In fact, it has become a weekly ritual for me to borrow a book or three and to read them during my daily commutes. If the wallet feels light, be a domestic tourist! There are many ways to explore Singapore. Venture beyond the usual Orchard Road shopping belt. Escape your usual neck of the woods to venture into new estates. From Bukit Timah to Bukit Merah, Changi Village to Chong Pang, Serangoon Road to Serangoon Gardens, each and every region has its unique colour, character, quirk and buzz. Yes, in case you still aren’t aware, visits to the National Heritage Board museums are free for Singaporeans. Just flash your NRIC or school bus card (students) to enjoy complimentary entry. You can spend hours enriching your soul, and discovering new worlds of culture, history, and art. Do you know that there are lots of free concerts at the Esplanade Theatres on the Bay? If you haven’t, it isn’t too late to check them out. There are also occasional free concerts at the Yong Siew Toh Conservatory at NUS and Singapore Botanic Gardens. Beyond the free concerts at the atriums and open spaces, you can also check out matinee performances which are usually cheaper in prices. #10 The Great Singapore Sale! Shop till you drop at this annual retail extravaganza. Beyond the main event itself, lots of other retail establishments also conduct their own regular member sales. My two favourites are the Great Robinson’s Sales and Popular Bookstore’s Sales. Singapore isn’t called a city in a garden for nothing. There are lots of tranquil and healing green spaces everywhere you go, and most are just a short distance away from MRT stations and bus stops. 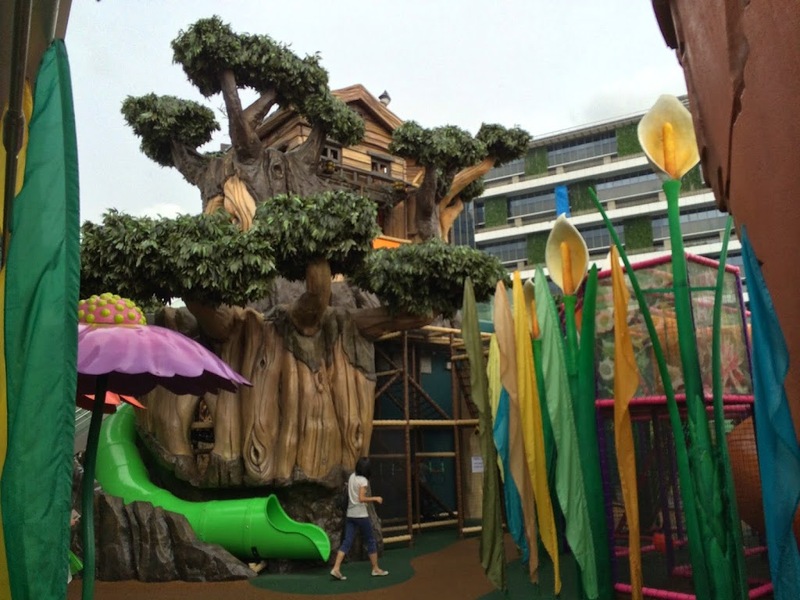 You can also find lots of free public playgrounds in both our parks and shopping malls. My personal favourite? The Singapore Botanic Gardens of course! Feeling broke and unhappy? Go for a walk, run or cycle! The endorphins released will make you feel happier while you embrace a healthier lifestyle. You can also check out the many excellent public pools if you love to swim, or just stretch and do yoga by the beach. Best of all, Sport Singapore is giving all of us $100 to sign up for sports programmes or use gyms and other facilities free. We all love a spanking new beamer, bed, book, or bag. However, there are times when the spirit is willing but the pocket is weak. In those cases, consider buying second hand. For sure, pre-loved goods aren’t as pristine as the ones that are plastic-wrapped, but you can still find occasional gems in a fairly good condition. The best place to do so online? Carousell! You can also find a good list of flea markets and thrift stores offering second hand goods here. If it costs too much to buy a new electric gadget, consider borrowing. While I don’t advocate sharing underwear, exchanging items with your family and friends can be a fun way to get to know each other better while trying out new stuff. Online sharing economy businesses like Rent Tycoons and Block Pooling are great places to start. 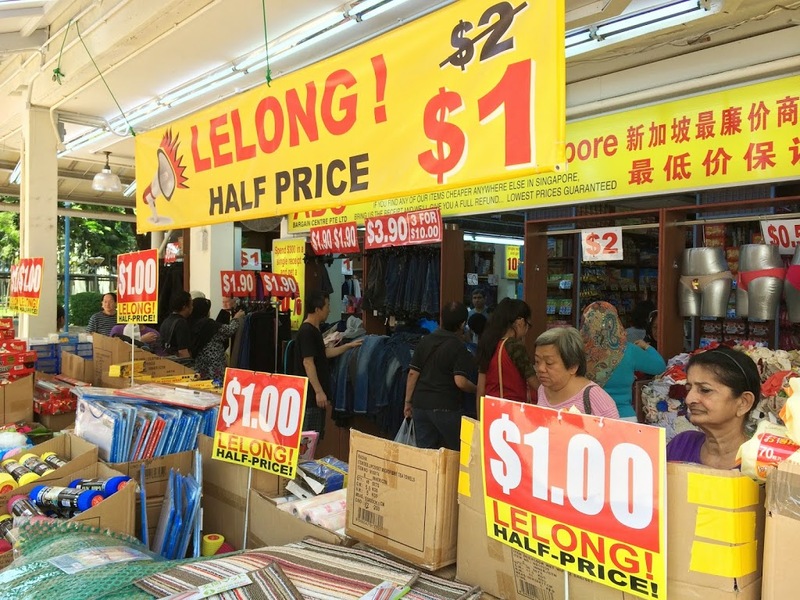 Yes, if there is something that we are not lacking here in Singapore, it is discount shops! From Daiso to ABC Bargain Centres to the legendary Mustafa Shopping Centre, there are tonnes of places here which offer stuff cheaply on a perpetual promo mode. Do check carefully for things like expiry dates, however, and ensure that you do not merely “stock up” just because they are cheap! Last, but certainly not least, consider signing up for the numerous courses and workshops at your local Community Clubs (CCs). Contrary to popular belief, our CCs are not just retiree hangouts. There are all kinds of interesting workshops and courses like salsa dancing, Zumba, web design, and others organised by the People’s Association (PA). Simply register and sign up for them at the One PA portal here. How else can you enjoy life in Singapore without spending a bomb? I’d love to hear your ideas!